WHAT SECRETS LIE BURIED WITH ARAFAT? Arafat had suffered intestinal inflammation, jaundice and a blood condition known as disseminated intravascular coagulation, or DIC, according to French medical records. But the records were inconclusive about what brought about DIC, which has numerous causes including infections, colitis and liver disease. Government officials rejected suggestions Israel may have poisoned Yasser Arafat with lethal radioactive isotopes in 2004; top Muslim cleric gives go-ahead for autopsy. As the Palestinian Authority prepared to exhume the body of former Palestinian leader Yasser Arafat, Israeli government officials on Wednesday rejected suggestions that Israel may have poisoned him with a lethal radioactive isotope, polonium. “The report is baseless,” said one senior official on condition of anonymity, adding that it was not Israel that decided to keep the late Palestinian leader’s medical records closed. A Swiss lab announced that it found elevated levels of polonium on Arafat’s belongings. The lab said it tested the items in response to a request by the Al Jazeera TV station, who approached the lab on behalf of Arafat’s widow Suha at the beginning of this year. 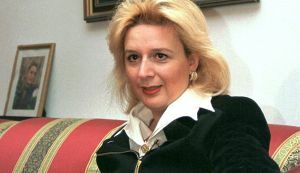 Suha Arafat rejected an autopsy at the time of her husband’s death nearly eight years ago. She has requested one now in light of lab tests that found the lethal substance polonium on his belongings. Suha said the items, including a toothbrush and a fur hat, were used by Arafat in his final days. She said they have since been kept in a secure room at her attorney’s office in Paris. While the lab said it found “very small” quantities of polonium on some items, there were higher quantities in, for example, a urine stain on underwear worn by Arafat and a blood stain on hospital clothing than on belongings he hadn’t used, such as new and unworn socks stored in the same bag. These developments reignited a storm of speculation over what killed Arafat, who died on Nov. 11, 2004 at the age of 75, at a military hospital outside Paris. On Wednesday, Palestinian Authority president Mahmoud Abbas cleared the way for a possible autopsy on Arafat’s remains, following a request from Suha. While Suha had rejected an autopsy at the time of her husband’s death, she now said she wanted one done in the wake of the lab’s findings. She did not explain why she waited nearly eight years to have the belongings tested. Suha’s request had put Abbas in a bind, since digging up Arafat’s remains would go against the traditions of conservative Muslims and could stir angry protests. But refusing to exhume the body could be seen as an attempt to block an investigation. The top Muslim cleric in the Palestinian territories, Mufti Mohammed Hussein, also said Wednesday he would not object to an autopsy on religious grounds. When Arafat died, French doctors identified the cause of death as a massive brain hemorrhage, which occurred weeks after he fell violently ill at his Ramallah compound in the West Bank. Many in the Arab world had alleged he was killed by Israel, an accusation Israeli officials vociferously denied. The lab’s head, Francois Bochud, said the findings do not necessarily mean Arafat was poisoned, and that it is impossible to say where the polonium might have originated. A French military doctor said he did not know whether doctors had checked Arafat for polonium when he was hospitalized in 2004. He also said he was unaware of any mention of poisoning in the 558-page classified report on Arafat’s death. 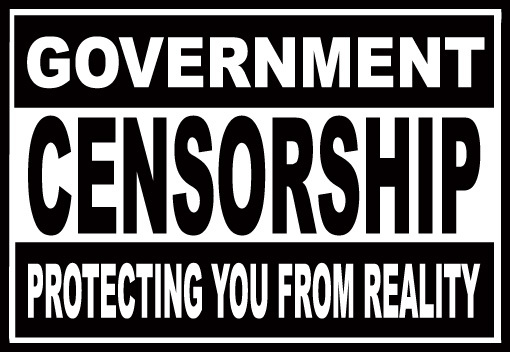 Yesterday I reported with disgust about the new Israeli military censor’s plans to monitor FaceBook, Twitter and Blogs…. Well, guess what …. 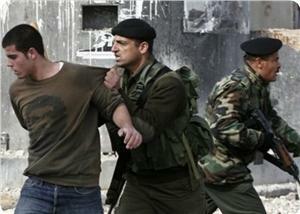 PA security forces have arrested dozens of Palestinian journalists, bloggers, students and activists in recent weeks. Many have been detained for statements they made on social networking sites like Facebook that were critical of the PA, while others were targeted for articles and other work they published. It looks like Israel’s representative in the Occupied West Bank beat the master to this.. The Palestinian Authority’s arrest of journalists and activists critical of its policies are threatening freedom of expression in the West Bank, according to local human rights groups. The Palestinian Authority (PA) has been trying to muzzle press freedom and freedom of expression under the rubric of “upholding the rule of law”. The Palestinian Authority (PA) has been trying to muzzle press freedom and freedom of expression under the rubric of “upholding the rule of law”.Several Palestinian journalists have been interrogated and imprisoned of late in connection with articles they wrote or opinions they voiced about leading PA figures, including President Mahmoud Abbas. One of the highlighted cases is that of Youssef Shayeb who has been put in jail since mid-March following an article he penned mid-January exposing alleged financial and administrative corruption plaguing the Palestine Liberation Organisation (PLO) diplomatic mission in Paris. In the article, which was published in the Jordanian newspaper Al-Ghad, Shayeb alleged that members of the Palestinian mission in Paris were involved in financial mismanagement, illegal security operations and espionage for the benefit of unnamed foreign intelligence organisations. Shayeb quoted detailed testimony from anonymous sources that he refused to disclose. 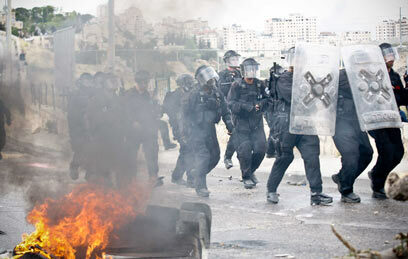 Initially, the Ramallah Magistrates Court decided to remand Shayeb for 48 hours pending further interrogation. This led him to declare a hunger strike in protest at “this flagrant treatment”. The Palestinian press law, which is yet to be complete and take a final form, prevents the executive authority — via the security agencies — from questioning or interrogating or harassing journalists over matters pertaining to their professional work. However, the PA security apparatus has more or less failed to uphold the rule of law in this regard, often justifying its encroachment and abuse by citing security considerations. According to Shayeb’s wife, Badeia, the interrogation of her husband centred on the identity of his sources, although the Palestinian press law, in its fourth clause, grants journalists the right to keep their sources anonymous. The office said it was duty bound to address formal complaints by those whose names were mentioned in the investigative article, including PA Foreign Minister Riyadh Maliki, the Palestinian ambassador to France, and his deputy. Ahmed Al-Mughni, the attorney-general, told reporters in Ramallah this week that Shayeb was charged with defamation and libel as well as perjury in violation of the law. The continued arrest of Shayeb generated protests by Palestinian journalists who called on Abbas to free the man. However, sources at Abbas’s office pointed out that the president couldn’t and wouldn’t interfere with the work of the judiciary. On Sunday, 2 April, the Magistrates Court decided to release Shayeb on bail, set at $7000. However, Shayeb is still in jail, apparently due to the intervention of “powerful people” within the PA regime. Another less publicised case involving PA encroachment on freedom of expression has been that of journalist Ismat Abdel-Khaleq who has been in jail for over a week over “insulting and ridiculing” PA Chairman Abbas on her Facebook page. 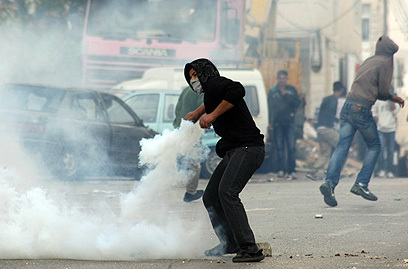 The female journalist was transferred to hospital on Monday, 3 April, following deterioration in her health. She has been remanded for 15 days for further investigation. According to Nehad Abu Gohsh, a Journalists’ Union spokesman, Abdel-Khaleq has been interrogated by the Preventive Security Services. Abdel-Khaleq reportedly argued that the controversial content on her Facebook page was not hers, but comments added by others. The attorney-general charged the journalist with verbally abusing high-ranking government officials, a charge many journalists are worried will muzzle press freedom and seriously undermine the ability of the press to carry out its function as a watchdog over the government. The increasingly draconian PA approach to press freedom and other civil liberties is raising many eyebrows in the occupied West Bank. One PA official intimated to Al-Ahram Weekly that the Ramallah regime is feeling increasingly insecure due to the political dead end facing the peace process with Israel. A visibly frustrated Abbas has been saying he will send a “decisive letter” to Israeli Prime Minister Binyamin Netanyahu, warning — even threatening — that the Palestinians would soon abandon the two-state solution strategy if Israel continued to expand Jewish settlements in the West Bank. In an article published this week, Fatah’s leading figure in the occupied territories, Ahmed Qurei argued that it was pointless and irresponsible to continue pursuing a peace process that is void of any real content. He called the peace process, among other things, a mirage, a great deception and a big lie, pointing to ongoing Israeli efforts to de-Arabise and de-Islamicise the demographic and cultural identity of occupied East Jerusalem. The PLO hopes to establish a viable and territorially contiguous Palestinian state on the territories occupied by Israel in 1967, with East Jerusalem as its capital. 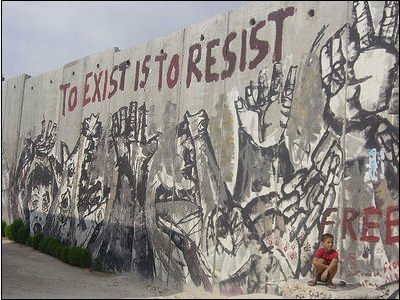 However, intensive and ubiquitous expansion of Jewish colonies throughout the West Bank, especially in Jerusalem, has rendered this Palestinian hope unrealistic. As the Palestinian Authority itself continues to erode away at Human Rights..
From a report by Amira Hass in today’s HaAretz…. Palestinian journalist Yusuf Al-Shayeb dared raise suspicions of corruption at the PA’s mission in France. Now he languishes in a Ramallah cell. And an AP Report from the same edition…. A 37-year-old university lecturer is being detained over comments found on her Facebook page calling for Abbas’ retirement. The talk about his mythical “letter” or “ultimatum” to Israel reminds us of the notorious illusions of the past few years such as the “September entitlement,” the Annapolis conference and the numerous other lies and events orchestrated in coordination with the U.S. and meant to deceive and mislead the Palestinian public by giving the masses a false hope that something is in the offing. The PA-run media has been babbling and blathering about “Abbas’s letter” as if the Day of Judgment would take place the day after the letter is delivered to the “graceful hands” of Bibi Netanyahu. 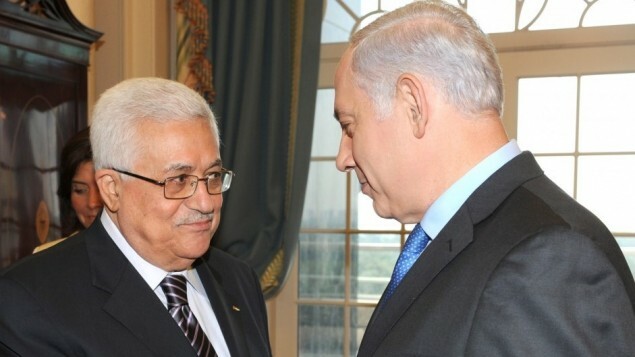 According to the latest reports, the Americans and their European partners have convinced Abu Mazen to delete any indication or threat from the letter alluding to the dismantlement of the PA.
On some occasions, Abbas alluded to the possible dissolution of the PA regime if the world community failed to force Israel to end the occupation that started in 1967. But neither the US nor Israel took this warning seriously. It also seems that many Palestinians as well, perhaps a sizeable majority, don’t believe the PA leadership. There is no doubt that the very existence of the PA is an Israeli achievement and vital interest. This is why Israel, and especially the United States, will think twice before allowing Abbas to reach the Rubicon. This is not say though that the Israelis and their guardian-allies, the Americans, will meet Abbas’s demands, including taking a decision to freeze all Jewish settlement expansion activity and seriously revive the effectively moribund two-state solution. The maximum the Obama administration would do, especially at this juncture, is to give the PA some extra money and tell it to shut up. They would also do a little bit of cajoling and bamboozling, along with some prodding and bullying. Hasn’t this been the American and European modus operandi in dealing with the PA ever since the death of Yasser Arafat and even before? I believe a great majority of our people, both at home and in the Diaspora, are fed up with Abbas’s whimsical rituals. Some unctuous hangers-on and hypocrites would portray the huge disillusionment of the people as support for Abbas. But this is the task of these sycophants, namely to falsify facts to make their boss feel that all’s right. First of all, the PA and Mr. Abbas in particular, ought to be frank and honest with the people, and tell them in straightforward manner that the goal of establishing a viable and sovereign state in the West Bank is no longer realistic due to the ubiquitous proliferation of Jewish colonies. And there is no shred of evidence that a prospective Israeli government, let alone the present Nazi-like coalition of hard-line Zionists and brashly racist Talmudic gurus, would under no circumstances agree to dismantle or depopulate these colonies, even in return for a perfect peace offer. The Israeli political-military establishment is too arrogant, too insolent and ideologically too rigid to allow any real transformation toward peace. In fact, the only transformation that we notice in Israel these days is a transformation toward Jewish fascism. The recent election of Shaul Mofaz, a certified war criminal by every standard of imagination, as Leader of the Kadima party should provide us with some food for thought in this regard. Second, the United States, on which the PA and like-minded Arabs still pin their hope for achieving peace and justice, is actually part of the problem. Israel through its powerful Jewish lobby is simply grabbing America by the throat, so much so, that most American politicians have come to realize that without throwing themselves squarely into the Jewish lobby’s lap, they would have no chance of winning elections or staying in their jobs for five minutes. And, of course, Barack Obama, is no exception. I know that most American politicians shake at the mere notion of criticizing Israel or saying a kind word about the Palestinians. I also know that many others are virtual political whores who would just side with richer and more powerful party, and American Jews have both the political power and money. This American reality should enable us to argue rather objectively that if the Palestinians wanted to wait until the US restores a sense of justice, morality and balance to its Middle Eastern policy, they would have to wait decades, many decades, perhaps even centuries. In short, America is part of the problem, it can’t be part of the solution. As to the Europeans, their role seems innocuous, but they can’t be relied upon to make Israel budge. Europe is simply too weak, too undetermined, too unprincipled and too divided to force Israel to succumb to the logic of peace. Added to this is the fact that the two-state strategy is actually dead, even though its kept alive by artificial means. Yes, the Americans, Europeans and some Palestinian leaders keep talking about it, but they all know in their hearts that this solution is no longer possible. Last week, PLO official Ahmed Qrei’ pointed out that it was too late for establishing a Palestinian state, especially one enjoying territorial continuity, with East Jerusalem as its capital. It is really mind-boggling why Abbas and his coteries in Ramallah don’t really listen to these words. Are they blind? Or are they treating the national interests and legitimate rights of their people with recklessness and nonchalance? Well, it is time these people sought an alternative strategy to put our people on a definitive track that would lead to freedom and liberation. About 200 new homes are being planned for the new neighborhood, known as Kidmat Zion, on a plot of land purchased by U.S. millionaire Irving Moskowitz. Israeli soldiers have killed and injured Palestinians and US citizens with weaponry supplied by the US government. WASHINGTON – A new policy paper published earlier this week by the US Campaign to End the Israeli Occupation documents a number of cases occurring over the past decade in which weapons and ammunition produced and financed by the US have been used to kill unarmed Palestinians and US citizens. “US military aid to Israel is a policy that is running on autopilot and must be reconsidered,” Josh Ruebner, the national advocacy director for the organization and author of the new policy paper, said on Monday. “US weapons provided to Israel at taxpayer expense make the US complicit in Israel’s human rights abuses of Palestinians living under Israel’s 44-year military occupation of the West Bank, East Jerusalem and Gaza Strip and defeat US foreign policy objectives of halting Israeli settlement expansion, ending Israeli military occupation and establishing a just and lasting Israeli-Palestinian peace,” Ruebner added. Between the years 2000 and 2009, the US transferred “more than 670 million weapons, rounds of ammunition and related equipment,” according to the report. Several US administrations have sanctioned or withheld funding from countries, including Israel, that violated laws such as the Foreign Assistance Act. But according to the report, official inquires and investigations into US military aid to Israel over recent decades have been met with growing resistance from groups both within and outside of the US government. Although more expensive weapons systems such as tanks and aircraft make up the bulk of purchasing contracts made between the Israeli government and US manufacturers, small arms and ammunition purchases account for the largest number of deaths. The report notes evidence that the Israeli military loads many of its guns with high-velocity tear gas canisters and rubber-coated bullets manufactured in the US — a frequent culprit in deaths throughout the West Bank. In a 2007 “memorandum of understanding,” the US pledged $30 billion in military assistance to Israel between 2009 and 2018 — a 25 percent increase in average annual military aid over previous years. Israel will receive roughly $3.1 billion in US military aid for fiscal year 2012. Speaking at a conference held at the Palestine Center on Monday, Ruebner argued that, apart from the seeming contradiction of US pledges to protect human rights for everyone, military aid to Israel imperils US strategic interests in the region. It also defers much-needed US tax revenues away from domestic programs, and contributes to a positive feedback loop that conditions the fulfillment of stated US goals in the region, such as a negotiated, two-state settlement, on even more military aid that, in turn, is used to continue the Israeli occupation of the West Bank and Gaza, he said. Citing data obtained for the US Internal Revenue Service and Census Bureau, the report places the quantity of US military aid in a larger context. “With the same amount of money that the US gives each year to fund weapons for Israel, the federal government could instead fund affordable housing vouchers for 350,000 low-income families, or green jobs training for 500,000 unemployed workers, or early reading programs for 900,000 at-risk students, or primary health care to 24 million people without insurance,” according to the report. “Far from being a strategic benefit to the US, [military aid to Israel] is actually a growing political, economic and strategic liability,” Ruebner said. The release of the policy paper coincided with the annual conference of the American Israel Public Affairs Committee, a Zionist lobbying group, in Washington that included speeches by senior US government officials, including President Barack Obama. US Secretary of Defense Leon Panetta reaffirmed America’s security commitment to Israel, including financing for a missile defense and fighter-jet weapons systems in a speech during the conference. “This is an ironclad pledge which says that the United States will provide whatever support is necessary so that Israel can maintain military superiority over any state or coalition of states, as well as non-state actors,” Panetta said. “Today, my friend Democratic Whip Steny Hoyer and I are introducing legislation to reaffirm our enduring commitment to the US-Israel strategic relationship and to ensure that threats to Israeli and American security will be answered with strength,” Cantor stated on Monday. “It is a bond that reflects the shared values of our people and our shared interests in preserving stability in the Middle East…It is a reminder that support for Israel is not and should never be a partisan issue,” Congressman Hoyer added. Ruebner emphasised several steps US lawmakers could take to prevent additional human rights violations, most notably the enactment of laws that would make US military aid conditional on freezing Israeli settlement building in the West Bank and ending theblockade of the Gaza Strip. 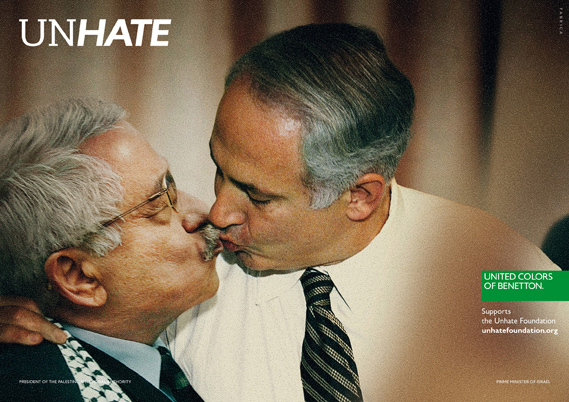 WHERE WILL ABBAS’ ‘KISSING UP’ TO ISRAEL LEAD TO? The apartheid Israeli regime decided last week to freeze the transfer of tax and customs revenue levied by Israel on behalf of the Palestinian Authority (PA). The illegal and immoral measure, which Israel resorts to rather routinely, is intended to bully the Ramallah leadership to capitulate to Zionist whims and blackmailing tactics. Israel never stopped threatening to strangulate the PA economically and financially if the latter didn’t succumb to the Israeli will. The systematic Israeli blackmail of the PA is a disgraceful expression of the Oslo Accords and other subsequent accords and understandings between the pseudo autonomous authority and the Nazi-like Israeli occupation regime. Needless to say, these scandalous agreements which effectively reduced the Palestinian regime-from the supposed equal partner envisioned in these so-called agreements-to a vanquished supplicant begging for virtually everything from the Israeli side, from travel permits to basic commodities without which any modern society wouldn’t be able to function. The PA does possess numerous cards which, if used properly and forcefully, can force Israel to treat the Palestinians with a semblance of respect and dignity. For example, there is strong ongoing security coordination between the Israeli occupation army and Palestinian security agencies. This security coordination, which is actually no more than a mere subordination, subjugation and subservience by the PA security apparatus to the Israeli occupation army, covers the entirety of the West Bank and commits the PA to protect and safeguard Israeli interests, including guarding hundreds of Jewish settlers, most of whom indoctrinated in a Nazi-like ideology that teaches that non-Jews, e.g. Palestinians, living under Jewish rule, must submit to the Chosen People or master race and resign to a status of water carriers and wood hewers. 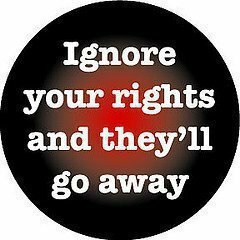 If the goyem (or non-Jews) don’t submit and continue to demand human rights and civil liberties, then they must be either expelled or killed. As mentioned above, Israel had resorted to withholding the transfer of Palestinian monies several times for the purpose of forcing the PA on its knees, with the PA doing virtually nothing to respond to the hostile provocation apart from issuing statements of denunciation and condemnation. The estimated $100 million dollar which Israel transfers to PA coffers per month constitutes the lion’s share of the Palestinian monthly budget. Hence, PA inaction and ostensible indifference with regard to this issue must invite the strongest condemnation from the Palestinian masses, especially those tens of thousands of civil servants and wage earners who receive their income from the PA regime. The scandal becomes even more clarion and shocking when we know that a good part of the money withheld is used to pay salaries for those very soldiers and officers tasked with coordinating security matters with Israel, or, more correctly, guarding the Nazi-like settlers. What can the PA do? Without making a short story long, the PA can and must terminate all forms of security coordination with Israel. To begin with, this coordination is a stigma upon the forehead of every Palestinian political and security official, because in its simplest form, security coordination means collaboration with the enemy against the forces of resistance and freedom. Moreover, it is amply clear that Israel accords “security coordination” with a pliant PA a paramount importance since that very coordination allows Israel to maintain its enduring occupation with minimal costs. During the heights of the first and second intifadas or uprisings, Israel maintained a heavy security presence of more than 80,000 troops in the occupied territories. Hence, a genuine threat by the PA to terminate security coordination with the Zionist regime is very likely to sound alarm bells in Tel Aviv and Washington. Needless to say, it is the latter than finances that security coordination and bribes the PA with more money to maintain that sinful relationship with Israel. 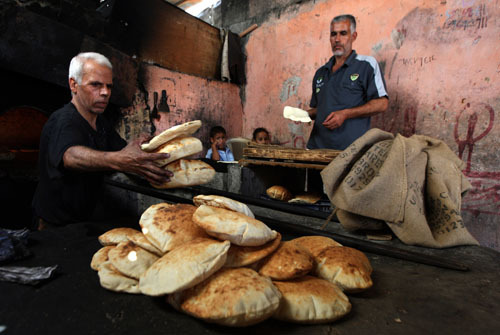 In any case, it is illogical and unethical to keep the Palestinian loaf of bread hostage to the rapacious and cannibalistic instincts of Talmudic sages who view all non-Jews as subhuman creatures whose lives have no sanctity and who have no human rights or dignity. It is these so fuehrers of Zionism who control rather tightly the present Israeli government of Binyamin Netanyahu. This throws the proverbial ball rather squarely onto the PA court. In addition, I believe the PA should immediately revoke the scandalous Economic Protocol of Paris which made the very lifeline of the Palestinian economy subject to Israel’s whims and haphazard, sadistic fantasies. The PA regime did commit an unforgivable blunder in 1994; it is time the Ramallah leadership rectified and corrected that blunder which has cost our people dearly. Finally, the PA and other Palestinian forces ought to do their utmost to get friendly Arab, Muslim and other states involved in enabling our people to withstand Israeli bullying and blackmail. For example, the PA ought to press the new rulers of Egypt to make the Egyptian commitment to honor and uphold the Israeli-Egyptian peace treaty subject to Israeli treatment of the Palestinian people. The same thing applies to all new governments and regimes in the Arab world. This is what everyone would call smart politics. Otherwise, the Palestinian people should wait to seeing a mere reproduction of the same futility and same failure characterizing PA performance over the years. That’s what I read in the following …. Over the last two weeks, the Israeli official said, several of Abbas’ advisors, including his chief negotiator, Saeb Erekat, have urged him to disband the PA and hand responsibility for the territories back to Israel. This has strengthened the army’s view that gestures to bolster Abbas are needed. Cabinet split over bolstering PA leader or punishing him for UN statehood bid; next month IDF to give government list of recommended goodwill gestures, including releasing additional Palestinian prisoners. Israel should make a series of gestures to the Palestinian Authority to reduce the damage caused the PA by last week’s deal for the return of Gilad Shalit, the Israel Defense Forces’ General Staff believes. But Prime Minister Benjamin Netanyahu’s advisors vehemently oppose the idea, as do several members of his forum of eight senior ministers, arguing that PA President Mahmoud Abbas “should be punished” for his unilateral bid for UN recognition of a Palestinian state. Next month, the IDF will give the government a list of the gestures it recommends, including releasing additional Palestinian prisoners and perhaps transferring additional parts of the West Bank to Palestinian security control. The army considers this necessary to help Abbas regain the upper hand in his ongoing battle with Hamas for control of the territories, since Israel’s intelligence agencies all concur that the Shalit deal, in which Hamas obtained the release of 1,027 Palestinian prisoners in exchange for one kidnapped soldier, bolstered the Islamic organization at the PA’s expense. Another proposal is to transfer part of what is known as Area B – areas of the West Bank that, according to the Oslo Accords, are under Palestinian civilian control but Israeli security control – to Area A, which is under full Palestinian control. Most of the territory the army favors transferring is in the northern West Bank, between Jenin, Nablus and Tul Karm, as this area has few Israeli settlements. The issue is further complicated by uncertainty over Abbas’ intentions – a question on which both government officials and intelligence professionals are split. Some believe that Abbas has no interest in resuming negotiations with Israel, preferring to pursue his case at the UN and among the international community in the hope of forcing concessions on Israel. Members of this camp see no point in making any gestures to him. The IDF, in contrast, thinks Israel must make substantial gestures to bolster Abbas. Minor steps – like dismantling unmanned roadblocks or releasing Palestinian prisoners convicted of crimes other than terrorism – won’t suffice, it argues. The senior Israeli official said the army’s concerns were on full display at a briefing for Barak last week given by Maj. Gen. Eitan Dangot, the coordinator of government activities in the territories. Dangot, he said, expressed great concern over the messages he has been getting from senior PA officials recently – namely, that Abbas is depressed and threatening to resign in light of the impasse in negotiations, the boost the Shalit deal gave Hamas and the fear that his UN bid will fail even without an American veto, given his difficulties in recruiting the necessary nine votes in the Security Council. ABBAS CALLS ON EU TO RECOGNISE PALESTINIAN STATE ….. BUT WHO WILL RECOGNISE ABBAS? Palestinian President Mahmud Abbas called upon European Union nations on Friday to recognize a Palestinian state, according to an AFP report. According to the report, Palestinian negotiator Saeb Erakat said Abbas had held a meeting with EU foreign policy chief Catherine Ashton, during which he “affirmed that the Palestinian position was to resume the peace process” with Israel and expected Prime Minister Benjamin Netanyahu to resume negotiations and stop settlement construction, especially in Jerusalem. Despite the reconciliation between Hamas and Fatah, the fact remains that Abbas must go! How quickly, if ever, will the following be forgotten? First, a detailed report about the recent ‘Palestinian Leaks”…. Does Abbas really believe the above will be forgotten when elections are held in Palestine? I am in no way implying that the EU AND THE REST OF THE WORLD must not recognise a Palestinian State, I am merely reminding you of the role played by Abbas in the past. He has proven, without a doubt, that he cannot be trusted. So Dennis Ross is back in town in occupied Palestine. He is succeeding the failed U.S. envoy to the Middle East George Mitchell who proved himself too cowardly, too obsequious and too pliant especially in the face of Israeli arrogance and insolence. Mitchell thought that by employing nice words and habitually invoking America’s iron-clad commitment to Israel, whether it goes right or goes wrong and whether its continues to build illegal settlements on occupied land or not, Israel’s would probably make some steps, even reluctant ones, on the road to peace. However, the shocking insolence (and utter disrespect) he often received during his multiple visits to occupied Palestine at the hands of Israeli leaders and officials, seemed to have convinced the obviously gutless and spineless diplomat to quit it if only to retain his personal dignity and not be accused of anti-Semitism. Mitchell told his equally helpless superior, President Obama, of his impressions. Obama listened and nodded his head, which could be a gesture of desperation and helpless indignation vis-à-vis the powerful Israeli lobby which controls the American government, congress and much of the media. Nearly totally at loss as to what ought to be done to restrain Israeli rejectionsim and intransigence, Obama decided once again to dispatch Dennis Ross, the once-tried and often-proven venomous Zionist reptile to occupied Palestine, hoping that he will succeed in convincing the weak Palestinian leadership to succumb to the whims and vagaries of Jewish fascism especially those voiced ad nauseam by clearly psychotic Jewish supremacists and megalomaniacs such as Benyamin Netanyahu and his cohorts both in Washington and Occupied Jerusalem. In truth, the last thing in the world that Ross is capable of doing is working toward a true and just peace in Occupied Palestine. In recent statements, he was quoted as saying that in order for peace to prevail, the Palestinians would have to recognize Israel as a Jewish state. For those who can’t read behind the headlines, this is a clear allusion to another Palestinian Nakba or catastrophe. For those who don’t know, these two million Palestinians preceded and predated the immigration to Palestine of Khazari land-thieves, such as Benyamin Netanyahu and Shimon Peres from Eastern Europe, at least by a thousand years. This is really what recognizing Israel as a Jewish state implies, a Jewish state without non-Jews or at the very least with as few non-Jews as possible. More to the point, Ross during the Clinton administration demonstrated a stunning bias in Israel’s favor. This is to put it very mildly. According to one Palestinian negotiator who took part in numerous rounds of these failed talks, Ross often adopted views and stands that were even more extreme than those voiced by Israeli negotiators. It is really hard to imagine any positive contributions by Ross. This is the conclusion that the hopelessly pliant Palestinian leadership in Ramallah should have reached a long time ago. In the Palestinian culture, we often invoke the following prophetic hadith or saying by the Prophet Muhammed (PBUH): la yoldagho al-Mo’emno min juhren waheden marratayen, which means that a believer shouldn’t be bitten by the same snake twice. Unfortunately, due the imbecility, stupidity and naivety of the Palestinian leadership, we have been bitten by the same snake, and from the same hole, numerous times. Which begs the question: when will we ever learn from out mistakes and blunders? Today, Ross, the venomous Zionist reptile, who obviously has no iota of honesty and rectitude, will try to bamboozle and cajole PA chairman Mahmoud Abbas and his never-repenting aides to drop plans to ask the UN General Assembly for recognition of Palestinian statehood this September. He will probably employ a combination of carrots and sticks to “get the message through to a leadership” that it is facing a growing dilemma of either appeasing an America that is at Israel’s beck and call and losing the support and backing of the Palestinian masses or doing the opposite by refusing and resisting the bullying, coercion and political bribery of Washington, which would allow it to retain its own people’s backing. By now, the PA should have discovered the utter foolishness of relying on let alone believing or trusting any promises made by Washington. Hence, there is no point really in holding serious negotiations with the representatives of an administration that shakes to the core at the very thought of saying or doing something that might be disquieting for the real rulers of America, the Zionist Jews. In the final analysis, why speak to the monkey when you can speak to the organ grinder. And if there is no point in talking to the organ grinder, then the PA should reach to the same conclusion that King Abdullah has reached, namely that Israel doesn’t want peace and that the Israeli Jewish society is moving to the “hard right,” a clear euphemism connoting Jewish fascism, with all its repulsive and virulent manifestations. I mentioned the King of Jordan because his candid testimony, which was made in a recent interview with the Washington Post carries a special weight and should be accorded all the seriousness and attention it deserves since the King has no interest in being unduly pessimistic about peace in the region. Hence, Palestinians at all levels have the right to ask: where are we heading? When will we extricate ourselves from American lies and Israeli deception? And above all, when will we ever learn from the thousands of pitfalls and blunders we have faced ever since we got involved in this scandalous peace process that only gave us more hateful Jewish colonies, more ethnic cleansing, more apartheid and more land theft? A MESSAGE FROM PALESTINE TO US CONGRESS: TAKE YOUR MONEY AND SHOVE IT! However, if this aid is meant as bribe money to encourage or entice Palestinians or certain Palestinian elements to sell off their people inalienable national rights, then, we are sorry; we can’t accept your money. After four grim years of mutual recriminations, cold war and deep mistrust, the two main Palestinian political camps, the nationalist Fatah and Islamic Hamas, reached an auspicious agreement to end their differences. The four-year rift exhausted the Palestinian people, seriously weakened the traditionally-strong fabric of the Palestinian society, and nearly caused an irreversible implosion within the Palestinian community at home and in the Diaspora. And, above all, it made the prospects of peace in the region as remote as ever if only because a divided nation can’t get its acts together, especially when an increasingly fascist Israel, which always searches for pretexts and red herrings in order to evade and circumvent peace, sought to utilize the inter-Palestinian front to evade real peace and keep up building peace-killing settlements for fanatical Jews. Needless to say, many if not most of these so-called settlers, are taught a morbid, venomous ideology which inculcates in them a certain belief that the whole universe was created solely for them and that non-Jews were created by the Almighty solely to serve Jews. Similarly, opportunistic Israel raved and ranted on every conceivable occasion, claiming that the Palestinian division, not Israel’s “lebensraum” policy in the West Bank, especially in East Jerusalem, was impeding peace since the Palestinians didn’t have a unified leadership. Now, after painstakingly achieving the long-awaited reconciliation agreement between Fatah and Hamas, Israel is fretting, like a woman who has just received a bad divorce deal in court, threatening the Palestinians with doom and reprisals, as if the Palestinians were supposed to perpetuate their internal difference for ever and ever for the sake of despicable Zionist thugs, many of whom originated in Eastern Europe and Russia and who brought with them a genocidal ideology along with every form of racism, fascism and jingoism to the Holy land. And, unsurprisingly, Congress didn’t lag behind. Indeed, no sooner than Hamas and Fatah representatives had announced their rapprochement in Cairo on Thursday, 28 April, than several Congressional figures warned that the US would stop financial aid to the Palestinian Authority. There is no doubt that Israel has been taken by surprise by the reconciliation pact in Cairo, an auspicious feat that complements the great historic changes now taking place in the Arab region. The more public relations savvy Prime Minister Benyamin Netanyahu reiterated old stands that Israel wouldn’t resume peace talks with a Hamas-Fatah government due to the participation of Hamas, as if the good tidings of peace were hovering over the Middle East prior to the reconciliation agreement. Netanyahu, a real thug, with a neck tie and an amazing ability to fornicate with language to change and distort the truth, once again invoked the terror issue, ignoring the clarion and cardinal fact that Nazi-like Israel is the ultimate expression, embodiment of terror in our time. Netanyahu invoked the fact that Hamas didn’t recognize Israel. Well, does Israel recognize Palestine? Does amorphous Israel have fixed borders? Hamas will never ever recognize such a state, which was born in terror and genocide and mendacity. Likewise, Congress along with happy-go-lucky Hillary Clinton is re-invoking the so-called Quartet conditions for talking to Hamas. These anachronistic “Nay-set” includes, abandoning armed resistance, recognizing Israel, and accepting previous agreements between the PA and Israel. Well, these impossible blackmailing conditions are illogical and preposterous to say the least. First, Hamas has been serious and sincere about observing the tahdia or calm in the Gaza Strip, often in the face of Israel’s murderous provocations. However, rather than meeting appreciation and praise from Washington as well as hard opposition from some other Palestinian factions, Hamas only received malice and vilification from the U.S., which only underscores America’s pornographic subservience to Israel and her wantonly hegemonistic Jewish lobby. As to negotiations with Israel, it is well known that Hamas, which is not part of the PLO, never took part in these futile negotiations. Hence, the resumption of whatever negotiations wouldn’t hedge on Hamas’ approval. Finally, asking Hamas to accept previous agreements between Israel and the PLO is really ridiculous since nearly all these agreements, including the scandalous Oslo Accords, are essentially vague so much so that even Israel and the PLO themselves don’t agree on a common understanding of these agreements. Finally, an advice to the PLO and its leadership: Don’t be obsequious or complacent vis-à-vis Israel or any of its obedient dogs. These people have no iota of morality or honesty, let alone justice in their moral set of ideals. They are willing to blackmail us to the last drop of our blood. They would embark on the unthinkable to keep us in a state of enslavement to Zionism. Hence, you should be able to seriously threaten the Zionist regime to dismantle the whole autonomous regime once and for all; in addition, of course, to terminating irreversibly any vestige of “security coordination” a revolting and repulsive factor in inter-Palestinian discordance. Don’t display weakness or cowardice or indecisiveness. Our destiny as a people is not to be perennially enslaved by those racist thugs from Eastern Europe who want to build their glory at our expense. ISRAEL CAN HAVE A PEACE PARTNER WITH A UNIFIED PALESTINE, BUT WILL PALESTINE HAVE ONE? Jerusalem – The Israeli Human Rights group, Gush Shalom, issued a press statement on Thursday welcoming the reconciliation agreement between the two Palestinian rival groups Hamas and Fatah in Cairo on Wednesday. “The State of Israel can and must reach a peace agreement with the entire Palestinian people, with all its factions, through a Palestinian Unity Government which represents them all. ” Avnery added. Earlier on Wednesday delegations headed by Musa Abu Marzoka, member of Hamas Politburo member, and Azzam al-Ahmad, member of Fatah central committee started talks to reach the long awaited unity deal mediated by the Egyptian Foreign Minister, Nabeel al-Arabi. In a first response to the Fatah-Hamas reconciliation deal the Israeli Prime Minister Benjamin Netanyahu said Wednesday that the Palestinian Authority must decide whether it wants peace with Israel or reconciliation with Hamas. How humble it was for Israel to ‘allow’ the defunct Palestinian Authority to conduct the investigation into the murder of Juliano Mer-Khamis. After all, the murder did take place on Palestinian soil, therefore it should be investigated by Palestinian authorities. We must be reminded it was Hamas that was elected by the Palestinians to represent them in the last General Election…not the Palestinian Authority which was chosen by Israel to represent Palestine instead..
As a result, we are witnessing a situation where the PA is pointing fingers at Hamas members, when very likely it was Israeli terrorists that were orchestrators of this horrendous crime. (look at this photo carefully, it wouldn’t be the first time settlers or the Mossad itself raised a false flag)…. Neither is this the first time the PA has covered up the crimes committed by their partner, the Israelis. The above photo was a press release from Israeli sources purported to show Palestinian terrorists. 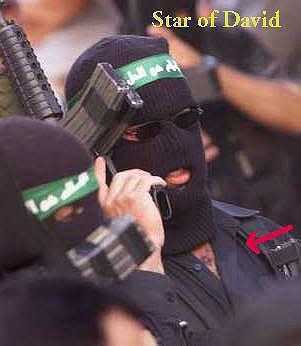 However one of the suspected terrorists forgot to take off his star of David before being photographed. THIS IS NOT MEANT TO BE FUNNY, THIS IS TO SHOW YOU HOW FALSE FLAGS ARE RAISED BY THE ZIONISTS. Zakaria Zubeidi, a former Al-Aqsa Martyrs’ Brigades commander who was granted amnesty by Israel and had been co-directing the Freedom Theatre with Mer-Khamis, says all signs point to a planned, professional hit. JENIN – Palestinian Authority police have arrested a former Al-Aqsa Martyrs’ Brigades militant suspected of involvement in Monday’s fatal shooting of half-Jewish, half-Arab actor and director Juliano Mer-Khamis outside the theater he founded in Jenin. The suspect, a Jenin resident who shifted his allegiance to Hamas after serving a five-year term in an Israeli prison for security offenses, was one of several suspects the PA police arrested within hours of the shooting, but he is the only one still in custody. He has also served eight months in a Palestinian jail. It remains unclear whether police are convinced the suspect shot Mer-Khamis – he says he didn’t, unlike terror groups which often publicize their involvement in violent acts – and why the actor, who was raised in Israel and is the child of a Jewish mother and a Christian Arab father, was killed. The investigation is complicated by the reluctance of possible witnesses to come forward. Zakaria Zubeidi, a former Al-Aqsa Martyrs’ Brigades commander who was granted amnesty by Israel and had been co-directing the Freedom Theatre with Mer-Khamis, said all signs point to a planned, professional hit. But though Zubeidi did not specify which group he thinks may be behind the shooting, he said it looks like Mer-Khamis was killed by a Palestinian from Jenin. After the shooting Monday, dozens of local residents gathered around the car of the man they knew as “Jule,” who they said never hid his intention of exposing Palestinian children to theater and fomenting a cultural revolution. The theater has been vandalized by Islamists repeatedly, and there have been two attempts to torch it. Israel is leaving the investigation of Mer-Khamis’ death to the Palestinian Authority, even though he has Israeli citizenship, Israeli security officials said yesterday. The sources said the Shin Bet security service would be receiving regular updates from the Palestinian authorities, particularly since the PA has already begun investigating and since it does not appear that Mer-Khamis was killed because of his Israeli citizenship. Friends of Mer-Khamis, who appears in Julian Schnabel’s recent movie “Miral,” about an orphaned Palestinian girl, dismiss the possibility that he may have been killed because of his Jewish heritage. There has been unsubstantiated speculation that he may have been targeted for reasons related to financial debts or a romantic liaison. Though he grew up in Israel, Mer-Khamis never referred to himself as an Israeli Arab, Khaled Abu al-Hijah, a board member at the theater, told the news agency AFP. Mer-Khamis was born in Nazareth and raised partly in Haifa but has been living in Jenin in recent years. He was killed at 4:40 P.M. on Monday, when a young man called in Arabic for him to stop his car as he was driving away from the Freedom Theatre with his 8-month-old son and a babysitter. The gunman fired seven bullets into Mer-Khamis’ head and chest from close range, killing him on the spot. The baby survived unscathed and the babysitter, Raida, who is originally from Bethlehem, was lightly wounded. Raida said the gunman was not wearing a mask when he approached the car, but put one on as he was running away from the scene. Friends who gathered at the theater yesterday say his death will leave a huge vacuum but that they will work together to try to keep the theater running. Four questions arise from the following report and video…. 1. How long does Israel intend to keep Gaza under siege? 2. How long does Israel intend to keep Abbas ‘in charge’ of the Palestinian Authority?? A third question might be…. 3. Is this proposed plan meant to expand the prison operations that exist today? 4. Is this meant to become a new vacation spot for rich Israelis? 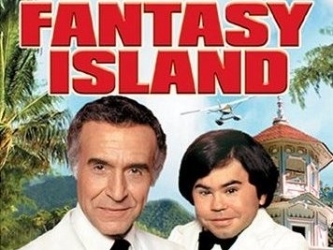 If so, where is Mr. Rourke and Tattoo? JERUSALEM — Israel is studying plans to create an artificial island along the Gaza Strip with sea and air ports to be controlled by the Palestinian Authority, an Israeli television channel reported Tuesday. The project, under development for three months by Transport Minister Yaakov Katz, proposes building a man-made island four kilometers long and two kilometers wide, Israel’s Channel 2 television reported. Israel’s Prime Minister Benjamin Netanyahu reportedly backs the plan for the island, which would also contain a tourist area, a marina, hotels and a desalination plant for sea water, the report said. It would be linked to Gaza by a four-kilometer bridge. The project’s backers in the government would like to see the island managed by Mahmoud Abbas’ Palestinian Authority — freezing out Islamist movement Hamas which controls the Gaza Strip. Hamas and Abbas’ Fatah party have been at loggerheads since the early 1990s. Tensions boiled over in 2007, when the enmity erupted into bloodshed that saw Hamas kick their rivals out of Gaza. In recent months the Government formulated an idea put forward by senior officials and it won wide support. According to plan, an area off the coast of the Gaza Strip will be drained for sea and air ports to be set up – hopefully separating the area completely. The unusual move is being coordinated with the Palestinian Authority while Hamas is out of the picture. Is the solution to the complex situation with Gaza in the sea? Israel recently developed a secret plan designed to bring a definitive disengagement from Gaza. In what initially may sound bizarre, the establishment of an artificial island off the coast of Gaza is being promoted seriously and with determination seriously by state officials. Transport Minister Israel Katz conceived the idea with the knowledge of Prime Minister Netanyahu and enthusiastic support of President Shimon Peres. Former Mossad chief Meir Dagan was mentioned as one of those involved. According to the prepared possible model, an island will be formed in the sea within 4.5 kilometers from the shores of Gaza which will container 8000 dunam connected to the Gaza Strip by a bridge, similar to the bridge now serving the power stations in Hadera and Ashkelon. The island would have a sea port, airport, along with logistical areas, tourist areas and hotels, facilities, electricity, water and more. All these are designed to allow the Gaza Strip access to the outside world without any Israeli involvement, without this causing security risks while allowing for a release from the effects of the blockade. This policy can continue the closure of the Gaza Strip, while control of the island – which would be a demilitarized zone – will be transferred to international forces such as NATO, to monitor the movement of people from Gaza. Access to the island will be possible only through the bridge to be erected, and it would be coordinated with the Palestinian Authority with no Hamas involvement in the project. So far the project has received much interest and support. It has an estimated cost of 5-10 billion dollars. Establishment of the island with its facilities is expected to take between half a decade and a decade. The planning of the project has been assigned to a planning team of experts who have been working on it already for three months, and it is waiting now for the green light from the prime minister. Among other things, it will be possible to take the island territory into account in the territorial exchange agreement negotiated in the permanent status agreement between Israel and the Palestinians. In the absence of a political initiative on the horizon, it appears the project is a fresh breeze from the Netanyahu government.